A public meeting on the upcoming eight amendment referendum was held at Newbridge Town Hall last night. It was jointly organised by Kildare South 4 Repeal and the Social Democrats. 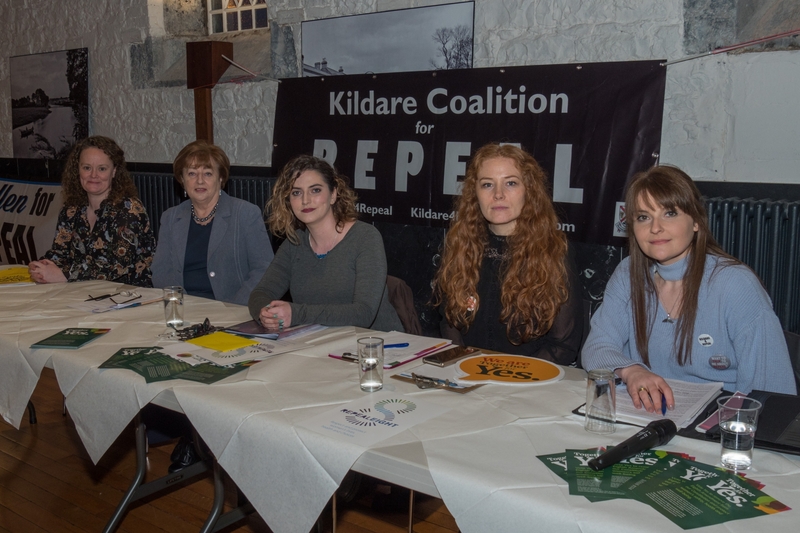 “Our prochoice group, Kildare South 4 Repeal held a hugely successful public information event in The Town Hall, Newbridge last night, Monday 26 March. Eighty five people attended of all age groups listening to the speakers giving a powerful message on why we should vote to Repeal the 8th Amendment,” said the group. The speakers were, Evie Nevin for Disabled People for Choice; Catherine Murphy, T.D. Social Democrats; Polly Morrin for Midwives for Choice, and Mel O'Neill for Kildare South 4 Repeal. The meeting was chaired by Cllr Joanne Pender. “Many interesting and varied questions were asked by the audience and there was a wonderful positive buzz in the room,” added the group.